Crossfade Loop Synth v3.2.9 is released. Only the Audio Unit version is updated, to fix a problem where the sample file would be lost when the host changed its audio settings. We're happy to announce the release of an updated version of the ES-7, the ES-7 mk2. Functionally equivalent to the original ES-7, the mk2 adds illuminated jack sockets, and matches the look of the ES-6 mk2 and the other recent module updates. The ES-7 mk2 is available immediately at a MSRP of $99/€89. Version 4.4 of the disting mk4 firmware is now released. This adds a new Programmable Quantizer algorithm, using Scala scale files, and adds Scala support to the MIDI/CV algorithm. Also new in this release is preset save & recall, and a number of other small feature additions. A major update for the FH-1 module should be hitting beta soon. Watch this space. Silent Way v2.6.2 is released (VST3 only). This fixes a crash when using the VST3 version in Bitwig Studio. Silent Way v2.6.1 is released (VST3 (macOS & Windows) and AAX (Windows) only). • Fixed a crash when closing the plug-in UI window on Windows (AAX). • Fixed a bug with automation of SW Step LFO parameters (VST3). • VST3 plug-ins now expose the full 16 MIDI channels as expected. Firmware version 1.8 for the FH-1 module is now released. This adds a small number of new features and fixes, but is primarily released for compatibility with High Speed USB devices such as the Electron Digitakt. 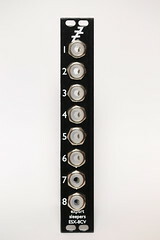 The new General CV module will officially launch at Synthfest UK on October 7th. Our retail partner Rubadub will have the first few units available for sale on the day. Come along and check it out! Version 3.10 of the disting mk3 firmware is now released. This adds many of the new algorithms recently added to the disting mk4 (Wavetable VCO, Reverb, Chorus, Waveform Animator and Noise). Version 4.3 of the disting mk4 firmware is now released. This adds three reverb algorithms, two chorus algorithms, as well as Waveform Animator and Noise algorithms. Version 4.2 of the disting mk4 firmware is now released. This adds a Wavetable VCO, a MIDI Clock mode, as well as the new algorithms added in the disting mk3's v3.9 mentioned below. Version 3.9 of the disting mk3 firmware is now released. This adds a number of new algorithms (Audio Recorder, Dual Quantizer, Dual Euclidean Patterns, Dual Delayed Pulse Generator, Dual Sample and Hold) and enhances some existing algorithms with new parameters. Silent Way v2.6.0 is released. • A VST3 version (macOS and Windows) is now available. • Added ‘Delay Start/Stop’ buttons to SW ES-4 Controller & SW ES-5 Controller (a workaround for an apparent issue with Ableton Live’s External Audio Effect). We're happy to announce the release of an updated version of the ESX-8CV, the ESX-8CV mk2. Functionally equivalent to the original ESX-8CV, the mk2 adds illuminated jack sockets, has reduced power consumption, and matches the look of the ES-8 and the other recent module updates. The ESX-8CV mk2 is available immediately at a MSRP of $169/€169. Version 4.1 of the disting mk4 firmware is now released. This adds the new MIDI-enabled algorithms mentioned below, as well as a few new features in existing algorithms. It also overhauls the bank/algorithm naming system. 1st April 2017 - Expert Sleepers announce a new Eurorack module, the General CV, which places a full General MIDI sound set under CV control. 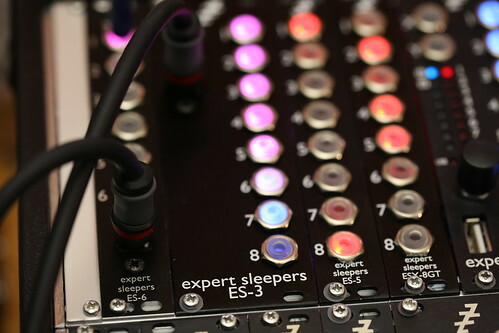 "For too long, Eurorack users have been denied important sounds such as 'Voice Oohs', 'Orchestra Hit' and 'Shakuhachi'," says Expert Sleepers founder Andrew Ostler. "We're delighted to finally bring these classic tones under CV control where they belong." The General CV will show at the Superbooth show, Berlin, in April 2017. 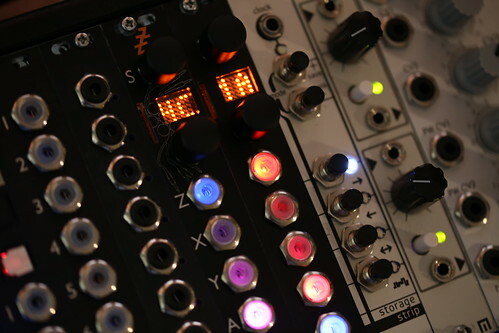 We're delighted to announce that the disting mk4 is now shipping. They should start popping up in stores around the world from this week onwards. Firmware version 1.7 for the FH-1 module is now released. This adds a number of new features including a powerful new arpeggiator. Version 3.8 of the disting mk3 firmware is now released. This adds a Crossfade/Pan algorithm and a Clocked Audio Playback mode. Spectral Conquest v1.0.7 and Minky Starshine v1.1.3 are released. Both are maintence updates to address a potential crash when used in macOS 10.12 Sierra. The disting mk4 is expected to be available early March 2017. Pricing TBD. NAMM 2017 - we are happy to announce new versions of four of our interfacing modules - the ES-3 mk4, the ES-5 mk3, the ES-6 mk2 and the ESX-8GT mk3. 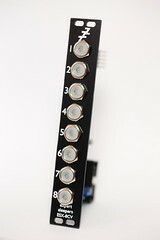 All have been updated with self-illuminated jack sockets (as seen on the disting and ES-8), and are in general less deep. Otherwise functionality, and price, remains the same as the previous versions. All are expected to be available February 2017. 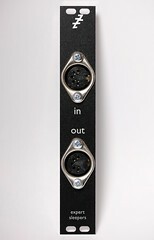 Learning Modular have published an excellent tutorial for getting going with the FH-1 'faderHost' USB MIDI host module.